The Corner V Fender (Rubber) is a single one piece V Fender with a 90° angle. 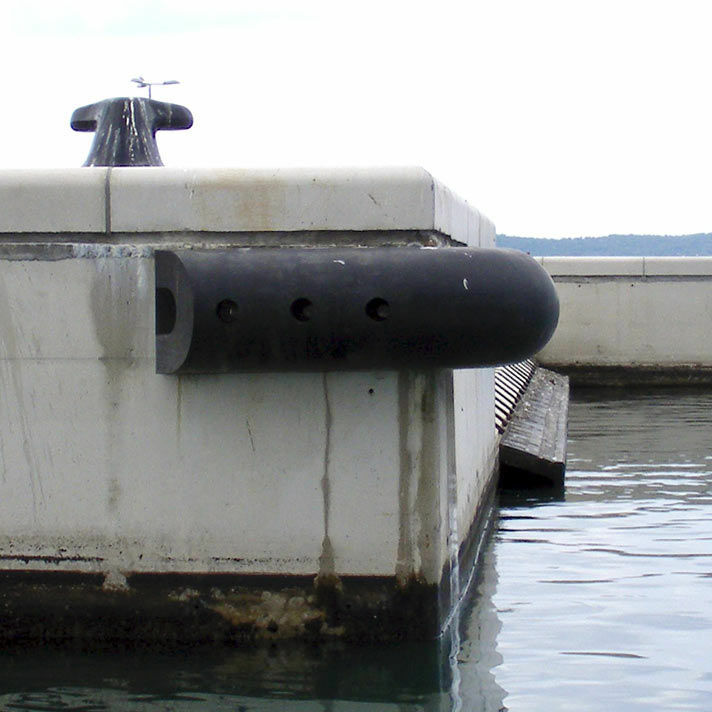 They are typically used for exposed corners and turning dolphins to minimize ship damages during berthing manoevres. Optionally Corner V Fenders can be supplied in PU instead of rubber to reduce friction and increase visibility. Corner V Fenders (PU/Rubber) are available in different sizes and angles. Additionally, a wide range of Corner Fenders can be supplied in individual shapes, sizes and colors.